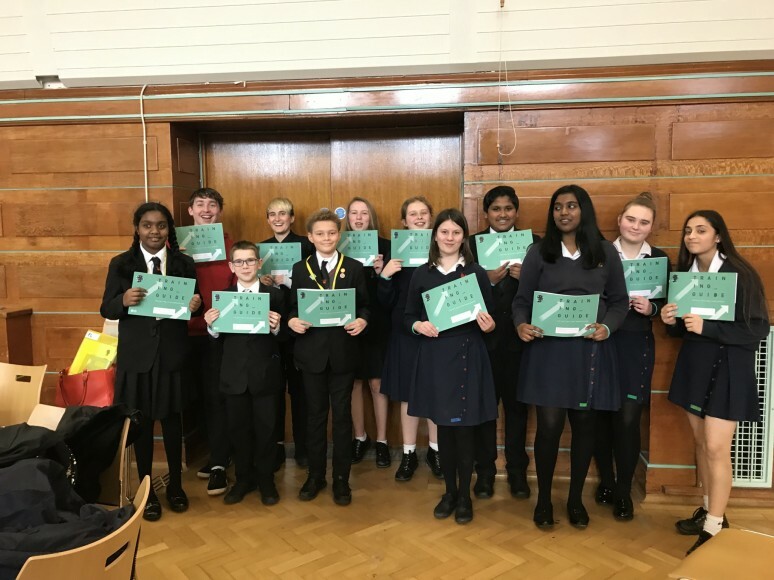 British Science Week 2019 (11th – 15th March) was celebrated in style this year at Cheam. This yearly event is a fantastic opportunity to run a variety of exciting activities and events throughout the school that link to Science. And this year, it has been bigger and better than ever! 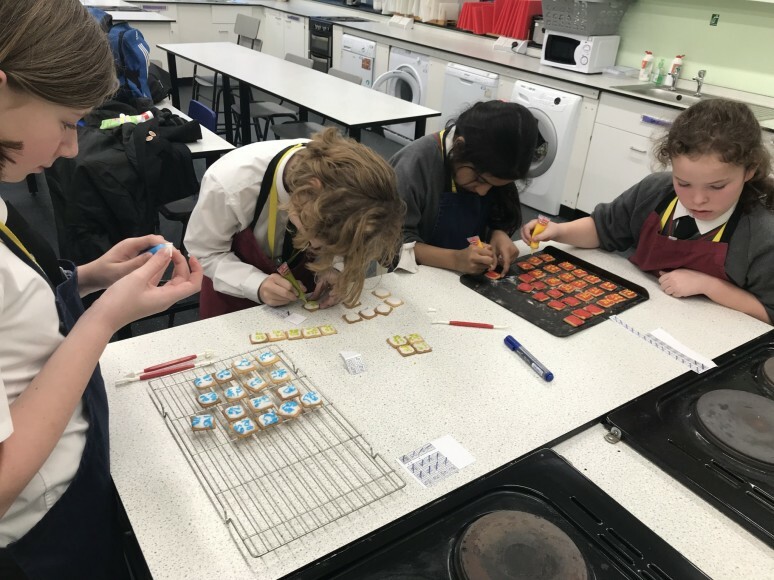 Each year group has been involved in a number of different projects during their Science lessons, through inter-tutor competitions and across a range of extra-curricular activities. We kicked off the week with our KS3 Element Hunt which was hidden across all our STEAM departments. 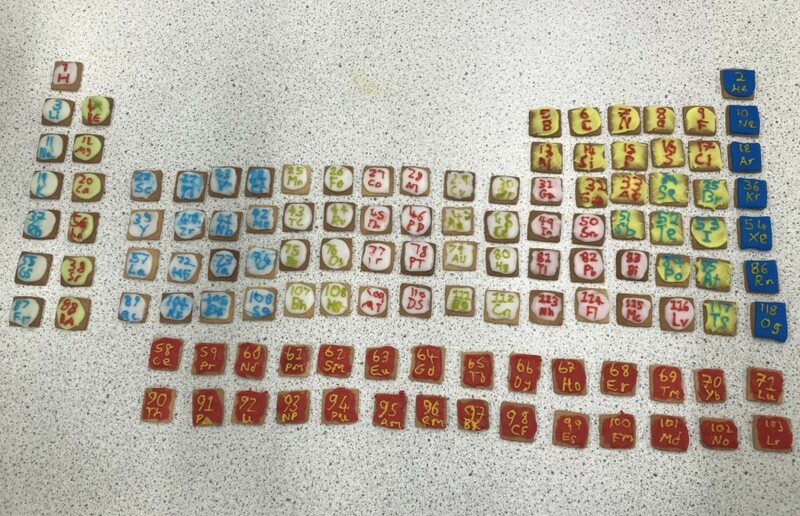 This involved students hunting down elements, scanning them and delivering them back to the Science Department ready for our Science Ambassadors to display on our gigantic periodic table. 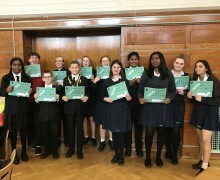 We had a record number of students taking part with winning students awarded a set of fascinating ‘Augmented Reality’ cards. 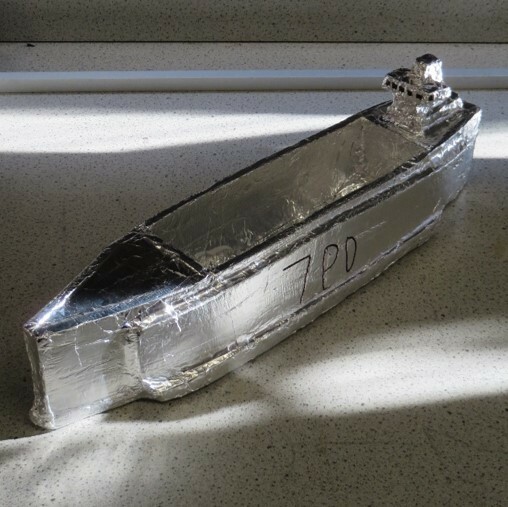 After school, we launched our STEAM inter-tutor competition which involved tutor teams creating a free floating raft that was designed to hold as much weight as possible. 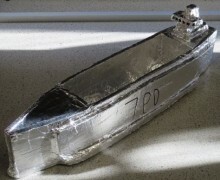 It was a massive success with 7KW and 7PN’s rafts holding up 230g! 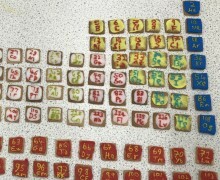 On Tuesday, KS3 students who attend ‘Bake Club’ celebrated the 150th birthday of the Periodic Table by baking it! These were absolutely incredible. 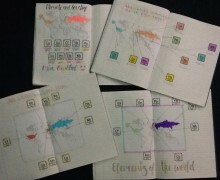 Throughout the week, our KS3 Scientists have undertaken a range of special projects. 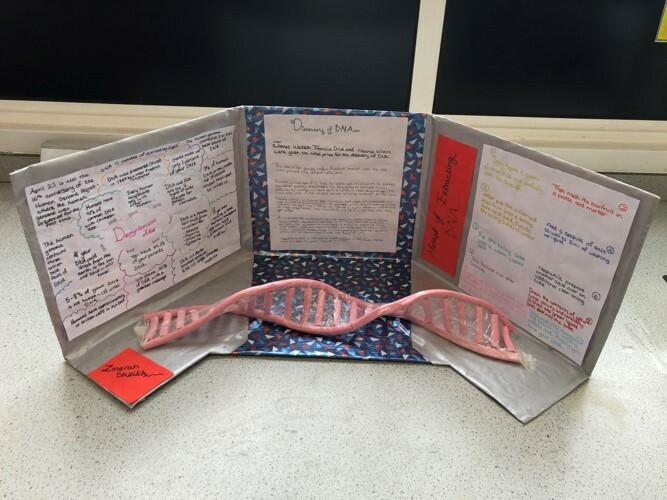 Year 8 have been learning about, and extracting, DNA, whilst Year 7 have been exploring the creation of the Periodic Table and the colours its contents burn. 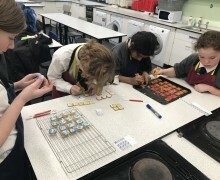 Across the week, KS3 students have experienced some cross-curricular activities. 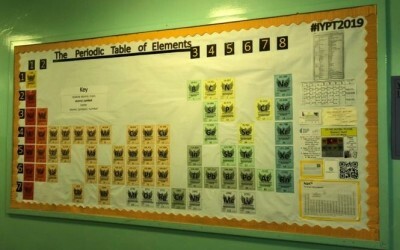 For example, Maths and Geography have been using Science themed starters in their lessons. 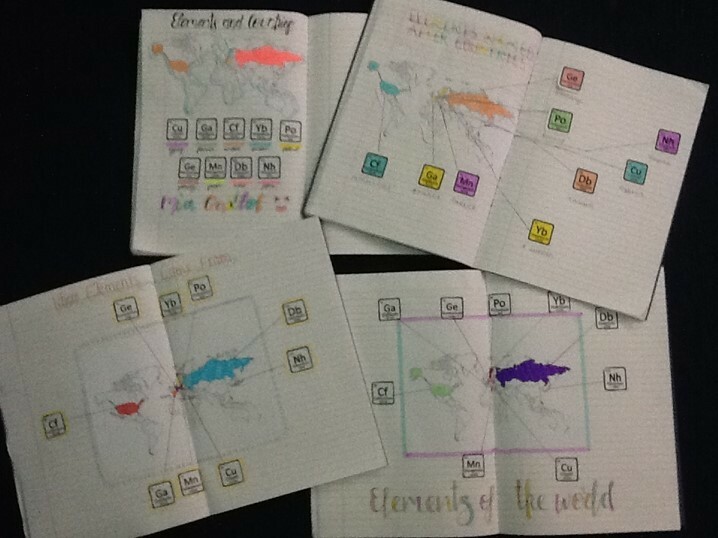 In Geography, armed with a map and some elements, students had to find where the elements originated from around the world. In Maths, students were using BIDMAS to work out some equations that all added up to ‘150’ in celebration of the periodic table's birthday! In KS4 Physics, Year 9 were given an engineering challenge to design and create a lander to test if an egg can survive a drop from a great height! 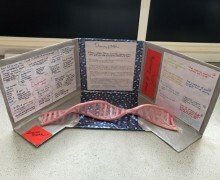 Year 10 Biology students have been completing a full scientific investigation into osmosis in plant tissues including skills on graph work, analysis and evaluation. 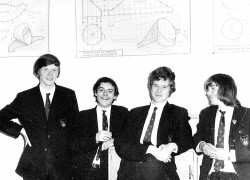 This actually covers one of their required practicals for their GCSEs! In KS4 Chemistry, Year 11 students have been playing the role of Forensic Scientists to establish who the chocolate thief is! Combined Chemists have been using paper chromatography to compare the samples found on the box and Single Chemists have been using ion testing techniques to establish the unknown sample found on the box! On the whole, it has been an amazing and successful Science Week with events that have been truly memorable! 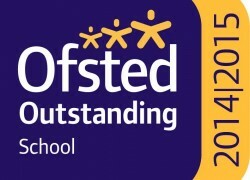 Special thanks to all the departments, staff and students involved.